The first owner of this Prairie School home was Frank Gross, the second Minneapolis Parks Commissioner (after Theodore Wirth). As parks commissioner, Gross had access to several species of ornamental tree. The gingko located between the front porches of this home and 1407 Fremont was planted as an experimental tree. Gingkos were being considered for use in the Minneapolis park system at the time, were deemed successful, and can now be found prominently throughout Minneapolis. 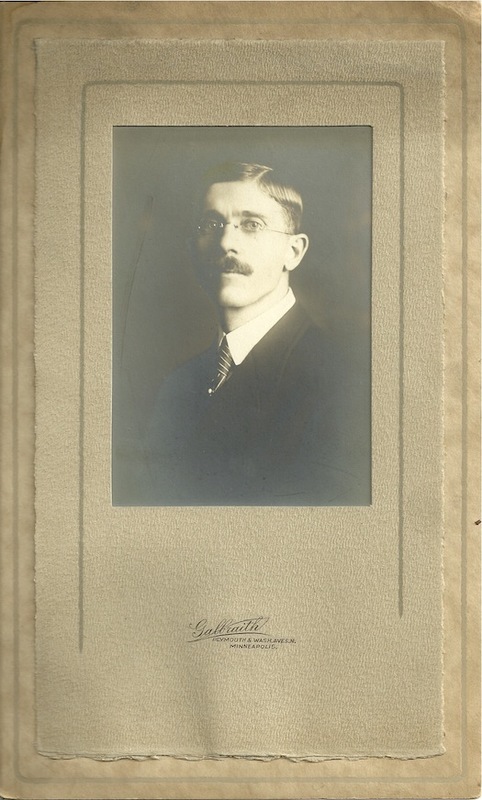 Frank Gross sold the house to the Menzel family in 1920. Ted Menzel lived here until the early 1970s, and when he moved, he donated the home's stained-glass windows, made by the Witte Brothers, to the Minnesota Historical Society. The current owner has made several unsuccessful attempts to have the windows returned to the house. 1411 Fremont is, in most architectural features, a companion to its immediate southern neighbor at 1407 Fremont, although it does differ in its two second-floor bays (vs. one), as well as the transom windows on the full-width glassed-in porch. And note another subtle difference: The corners of this structure are mitered (meaning that they come directly together), whereas the corners of 1407 Fremont have cornerboards. 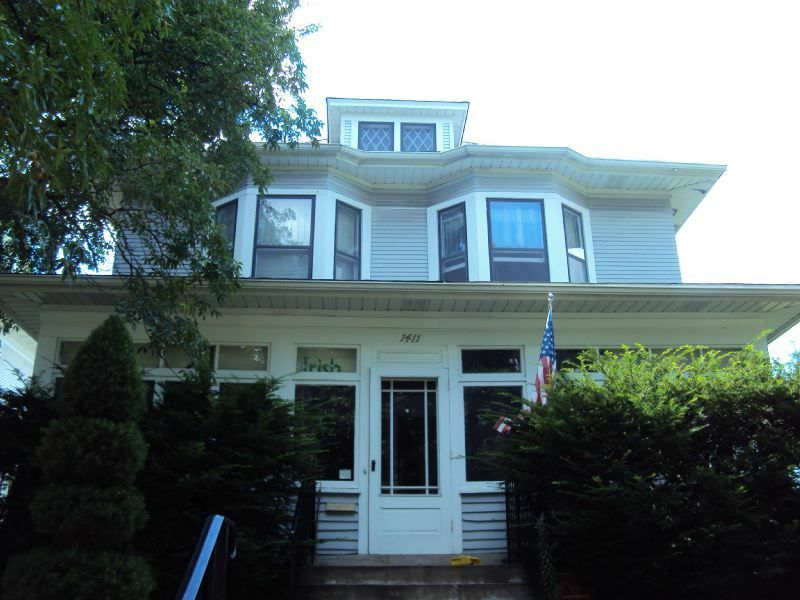 The mitering on 1411 gives this home a more updated appearance. The main façade of this two-and-a-half-story home is symmetrical, with a low-pitched, hipped roof and boxed eaves. The one-story full-façade porch has two identical bay windows on the second story, and the north elevation has an oriel window (a window that projects from the building, typically supported by the ground, or by corbels or brackets). It is easy to see where brackets once decorated the eaves on both stories. These brackets were removed sometime during the 20th century. 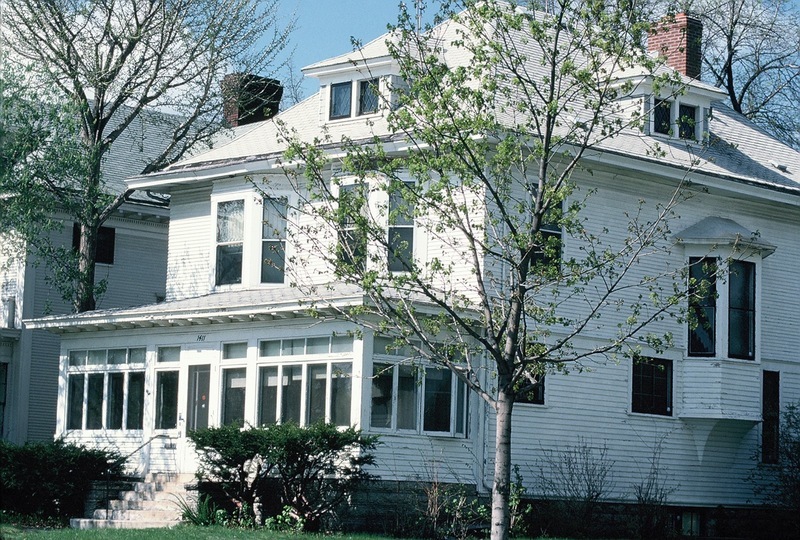 Old Highland Neighborhood Association, “1411 Fremont Avenue North: Frank Gross House,” Minneapolis Historical, accessed April 22, 2019, http://minneapolishistorical.org/items/show/30.